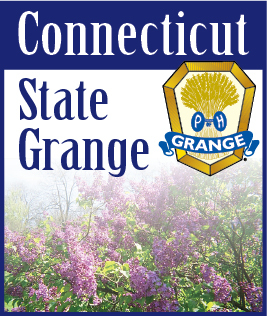 Registration is currently open for the 148th Annual National Grange Convention. Convention will take place November 11th through the 16th in Sandusky, Ohio at the Kalahari Resort, home of the country’s largest indoor water park. There is always plenty of fun to be had at the Convention activities. You can participate in workshops to learn something new; peruse the Idea Fair to bring back programs for your Grange; and check out the Best of Show with displays of award winning crafts, community service books, the Quilt Block contest and the Photo Contest. The Evening of Excellence talent show is always a great show to attend and for even more fun you could drop by the youth costume dance. This year there will be a safari theme. If Grange traditions are more your style, don’t forget to obtain or observe the Sixth and Seventh Degrees or spend some time in Session watching the Delegates and Officers discuss the business of the Grange. The host committee has been preparing for a fantastic convention for all. They have planned tours to a NASA facility where you could learn about rocket launches and the Thomas Edison Birthplace Museum in a neighboring town. The Junior Grange tour will visit the Merry-Go-Round Museum to ride an old restored merry-go-round and see carvers handcraft horses for these historic rides. The host committee also promises an amazing hospitality suite to keep you well fed and they are collecting stuffed toys to later donate to children’s hospitals and charity organizations. This convention will be a great event from start to finish and will keep the whole family engaged and having fun. Visit www.NationalGrange.org for more details and registration information.